Feng Jiang was appointed as a Canada Research Chair in Sustainable Functional Biomaterials. Feng’s research in advanced nanotechnology has been applied to isolate high-performance nanocellulose from forest biomass, and to regulate their assembly into more complex structures for expanded applications. Using cellulose nanofibrils as the primary building block, Dr. Jiang’s research has expanded to a wide range of applications including chemical sensors for environmental toxins detection, ultralight and porous aerogel for water purification, strong fibres and nanocomposites for lightweight structural materials, as well as porous and transparent films and membranes for energy storage applications. 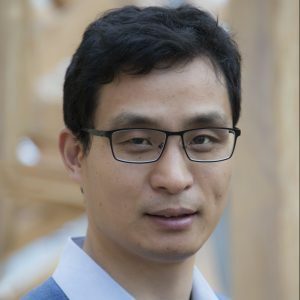 Jiang is expected to lead his research program to further develop functional wood-based nanomaterials with tunable optical, electrical, catalytic, and mechanical properties, aiming at ultimately replacing petroleum-based materials. These novel materials developed in Jiang’s lab will help to reduce carbon footprint and create a sustainable society.